Now truly the same can be said for Federer. Not the biggest serve, but with spin placement accuracy and disguise, the best second serve in the game. You will hear the television announcers saying just the same. Now some thoughts about your serve. Take a photo or a screen grab of your serve at the moment just after impact. In fact send the photo to me and I will tell you what I see. And at this moment in your own serve …..
Are you swinging at the target or is the hitting action offline? Is your head still up? And how does Roger do it? Is your right hip higher than your left hip? And what is it about the back foot that helps? Is your right shoulder higher than your left shoulder? Does that matter? Are you sideways or facing the net? And if so why, and if not what can you do different? And, is the racquet head snapped past the hand, or being pushed through contact? I am developing specific lessons on these aspects – available to all ETI Network members. See the offer below. There is no absolute guarantee that you can serve as well as Roger, but improvement in any of these areas will make a difference. 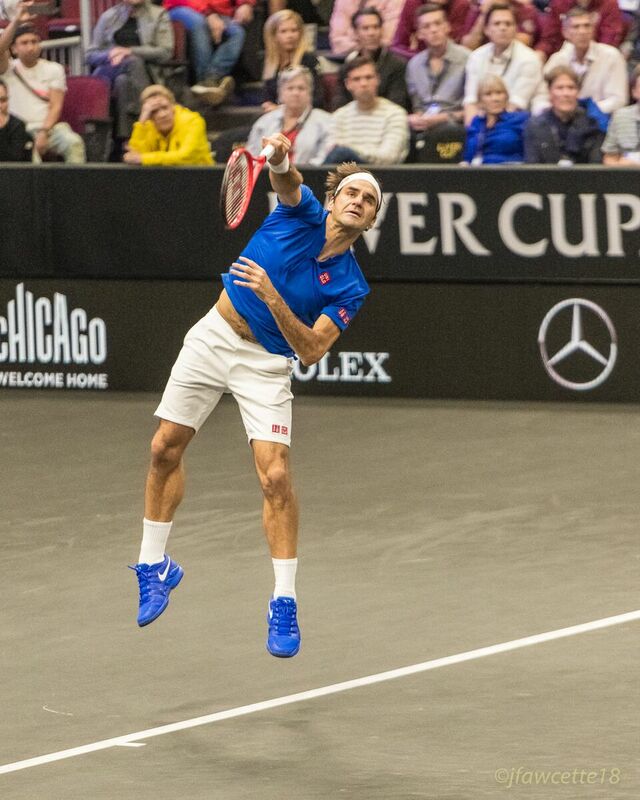 Rod Laver has said, “You are only as good as your second serve.” So truly, how good are you?